Immerse yourself amid a dazzling downtown landscape at The Westin Michigan Avenue Chicago on the Magnificent Mile. 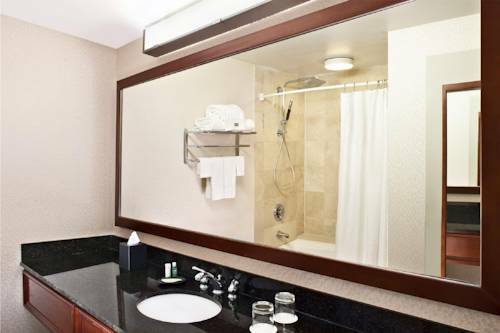 Find your respite in stylishly appointed hotel rooms and suites, featuring spacious floor plans, fantastic views, 55-inch flat screen televisions, Heavenly Beds and signature bath amenities. Explore an incredible assemblage of attractions, including Millennium Park, Maggie Daley Park, United Center, Soldier Field, Wrigley Field and Navy Pier. Thrill your palate with distinctive fare at The Grill on the Alley, named to the Fine Dining Hall of Fame by Nation's Restaurant News. Plan flawless meetings and social affairs in 37,000 square feet of sophisticated event space, enhanced by custom catering and expert planning. After a day of business or fun, exhilarate your body in our WestinWORKOUT Fitness Studio or soothe your senses at our Body Rituals Boutique Spa. With an Executive Club Lounge and ideal location, our hotel is a contemporary haven amid the lively pulse of downtown Chicago. The Grill on the Alley: The Westin Chicago boasts the newest location of The Grill on the Alley, named to the Fine Dining Hall of Fame by Nation's Restaurant News. The Grill is known for American favorites: prime steaks, fresh seafood and homemade desserts.